Coming from a professional background in education, Andrew has been facilitating with the Faith & Belief Forum for over five years. 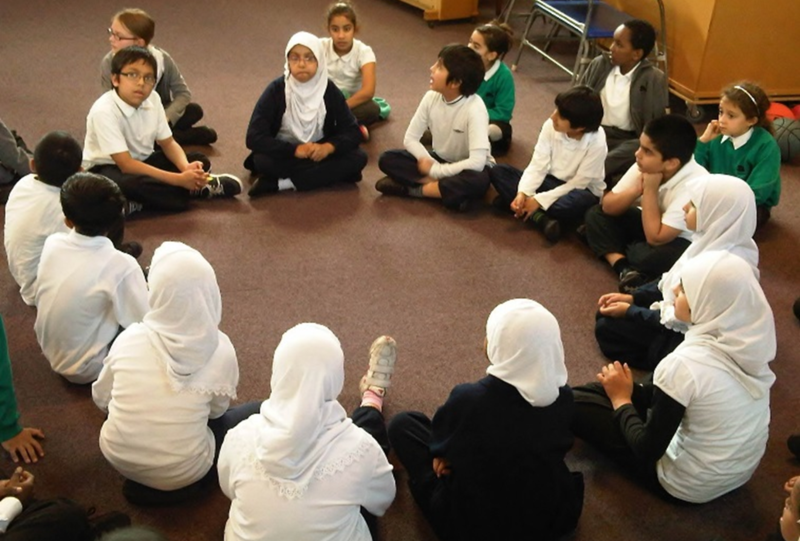 The aspect of the Faith & Belief Forum’s work in schools he sees as the most valuable for young people is the opportunity we offer for young people to go beyond the culturally homogenous communities they may have grown up in and encounter difference. Reflecting on the workshops he has delivered over the years, Andrew believes that some of the most profound and real change can be seen in our work in faith schools. When he recently ran a series of workshops in a conservative Saudi school where a lot of the children said they had never really met or talked to someone from outside the Islamic faith, the revelation of the similarities between Arabic and Hebrew – ‘salaam alaikum’ and ‘shalom alaichem’, for example – was a lightbulb moment for them. In Andrew’s opinion, the Faith & Belief Forum’s schools work creates an environment ‘where we can all be proud of where we come from whilst recognising that we prosper individually and societally when we reject “othering” and work to break down barriers.’ The Encountering Faiths and Beliefs workshops use the crucial life skills of empathy and storytelling in particular to explore identity and make deep and profound connections – and always with a smile! To help facilitators like Andrew to encourage young people to build bridges through finding rudimentary common ground, please consider making a donation to the Faith & Belief Forum.